RiskDynamyx is the first dynamic security risk management application for commercial and industrial property anywhere. RiskDynamyx uses proprietary algorithms for assigning and measuring risk. 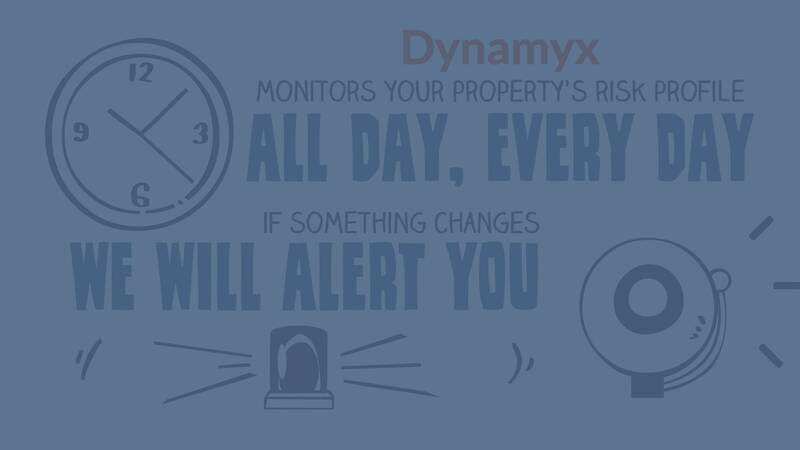 The risk profile of your property is always up to date with Dynamyx. How do I get started with RiskDynamyx? It is really simple. Contact our office and we will manage the whole process for you. RiskDynamyx could not be easier to use which means there is no special training required. Any questions you might have we will answer when we first set your property up in RiskDynamyx. Can Dynamyx have my own branding? It can. Call us to discover how this might work for your organisation. How many users can have access to the company account? You can grant access to as many people as you need. We do however recommend that access is limited as some of the data will be quite sensitive and should be treated as such. A risk rating is the score given to a property once its risk profile has been determined. Points of interest or POI’s are other properties that can have either a positive or negative influence on the risk profile of a RiskDynamyx client property. Yes there is a small, one-off set up fee. What other companies use RiskDynamyx? RiskDynamyx is used by a variety of businesses and property groups all across Australia.